Promotional bottle opener keychains perform multiple tasks at once! Durable aluminum beverage wrench opens cans and bottles with ease! 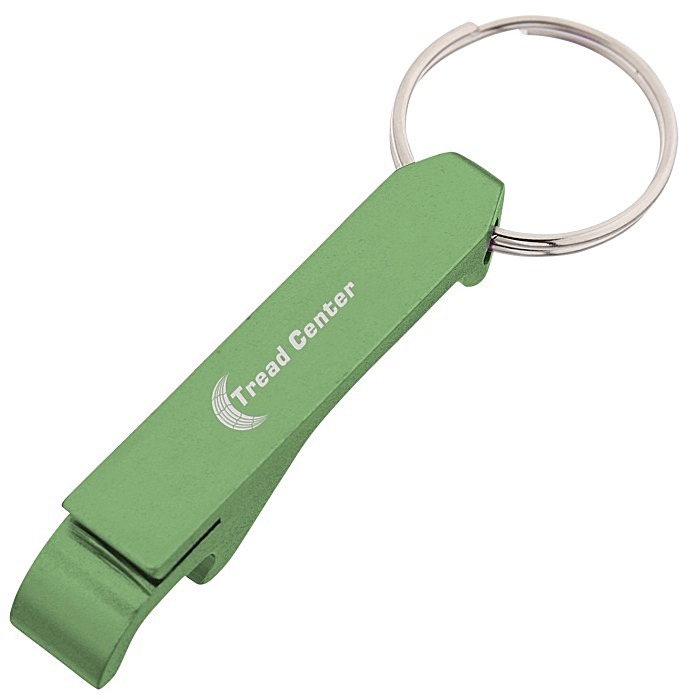 Open a pop-tab or pry off a bottle cap with the unique dual-purpose design. 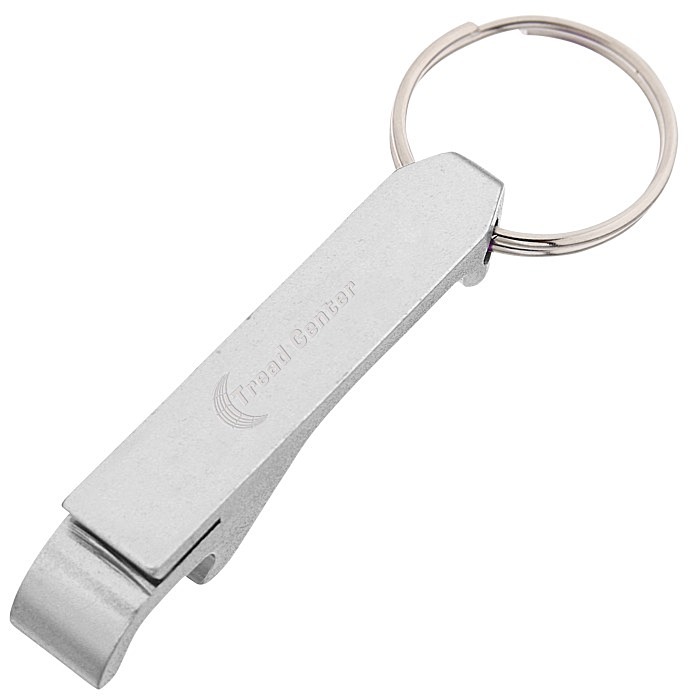 The custom can opener includes a silver split key ring attachment. The custom key tag is offered in several bold colors! Size: 7/16" x 2-9/16" x 1/2". Your imprint is laser engraved on the front of the promotional can opener.